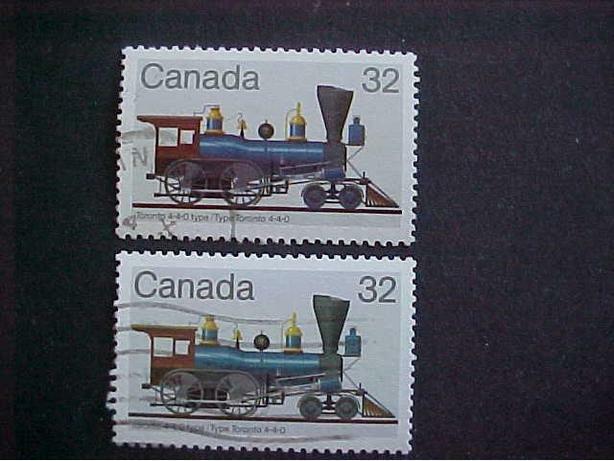 ON THIS INTERESTING COLOR VARIATION ERROR THE LOCOMOTIVE IS A DARK BLUE COLOR INSTEAD OF THE NORMAL LIGHTER BLUE COLOR. 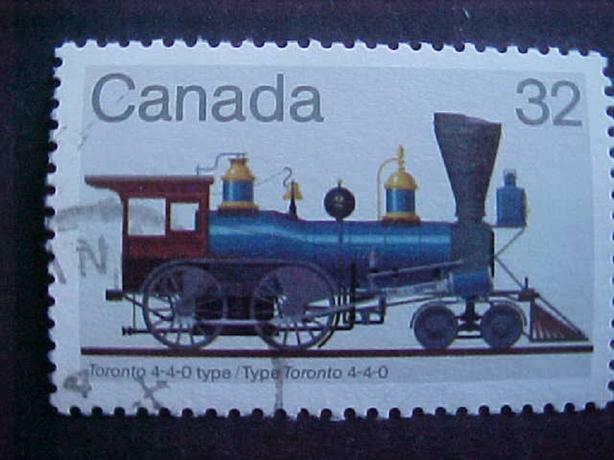 THIS OCCURRED ON SCOTT 999 THE 32 CENT TORONTO 4-4-0 TYPE ENGINE, PART OF THE CANADIAN LOCOMOTIVES STAMP SERIES ISSUED OCTOBER 3, 1983. 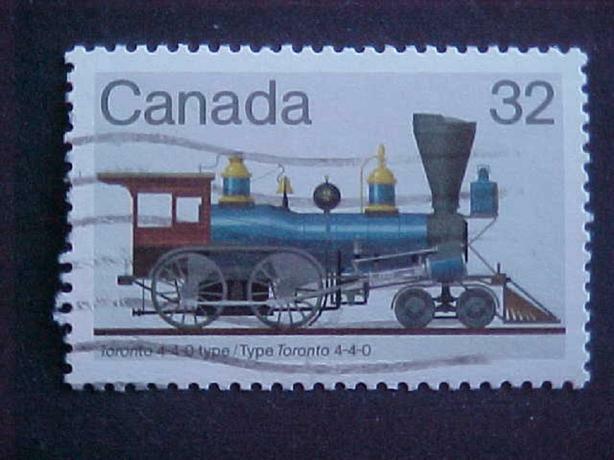 THE STAMP IS IN VERY NICE CONDITION. IT IS A USED STAMP.